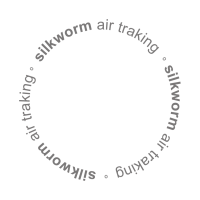 The silkworm tracking is the conceptual path followed by this Project. 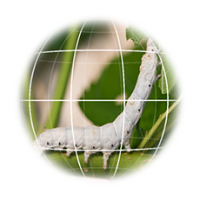 This simple creature has a metamorphic life circle, knitting its own cocoon which not humbly produces a classy icon of world culture. 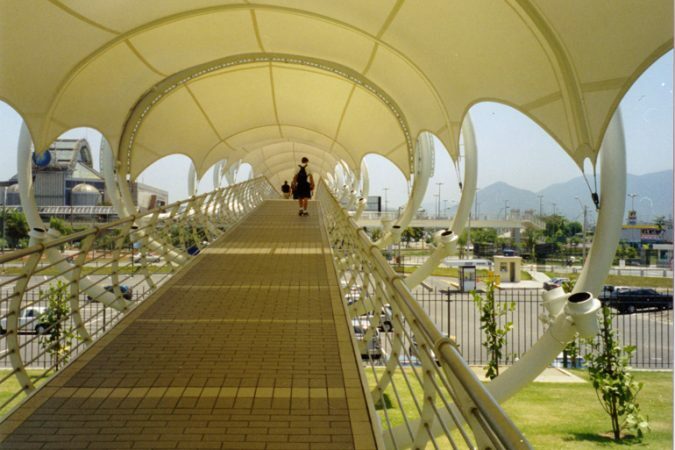 The metaphor set by the capacity of weave a shelter and all the atmosphere of sophistication coming from its production, besides the delicate shapes of its tiny body, are referenced by the design of this footbridge that connects two important centers of Rio de Janeiro: the Barra Shopping Center and the Forum of Barra. 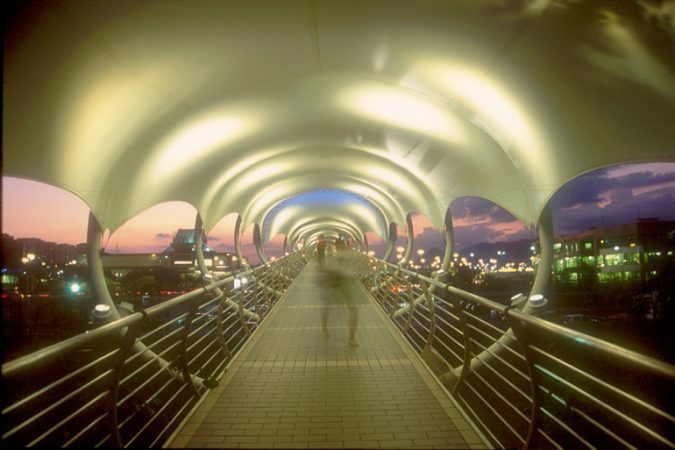 This is piece of integration of Barra Shopping mixed use development, composed by the Barra Shopping , a superregional center, the New York City center, a entertainment center, the Business District of Barra Shopping and a high standard community mall. 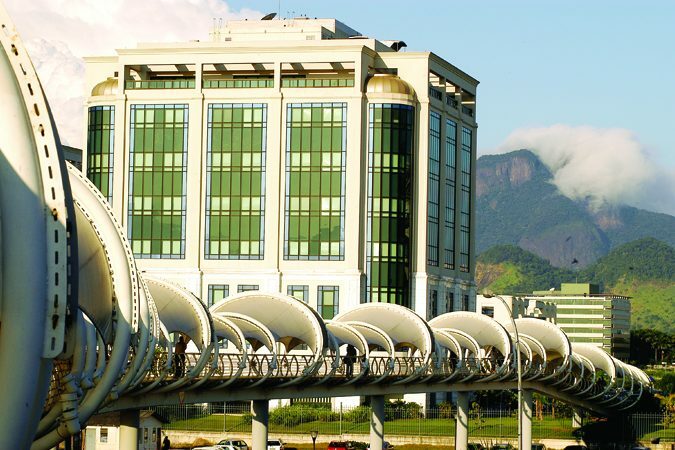 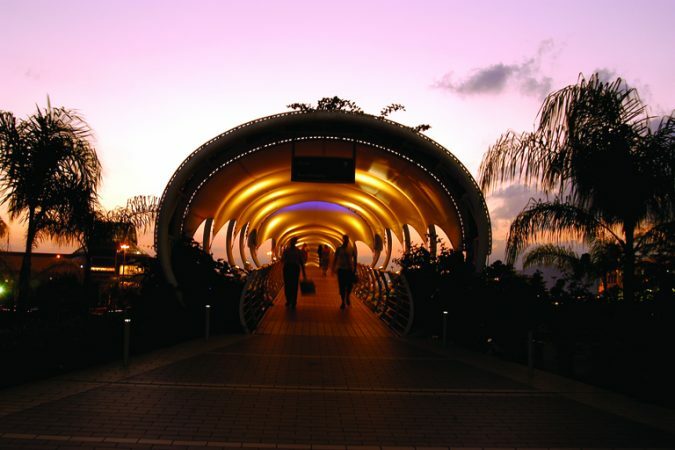 This suspended walkway can be understood as an important artery to this rich complex that connects the superregional center to the business district, besides the Forum of Barra da Tijuca. 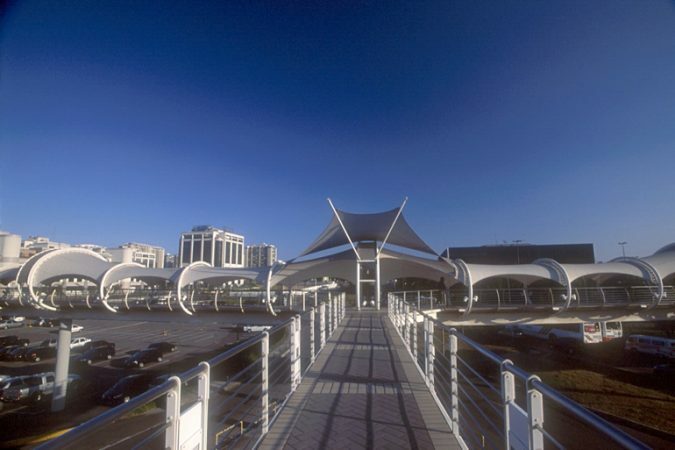 This metallic construction, over indirect foundations and under a cover of tensioned canvas referencing New York City Center’s volumetry, reinforced the idea of unity of all assembly centers. 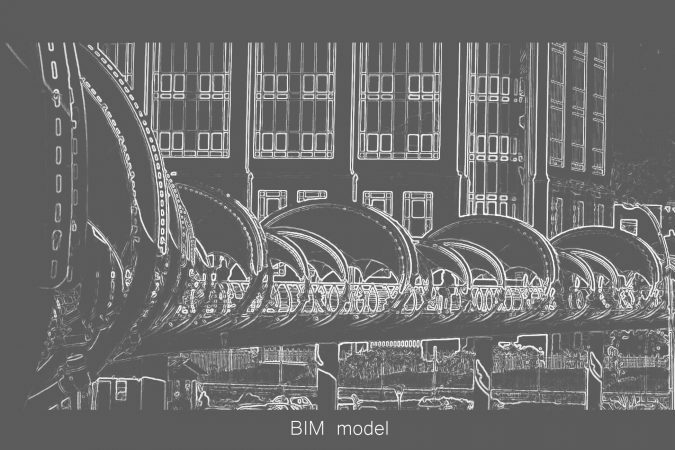 It is the development of an essential piece of aesthetical dialogue between these nucleuses. 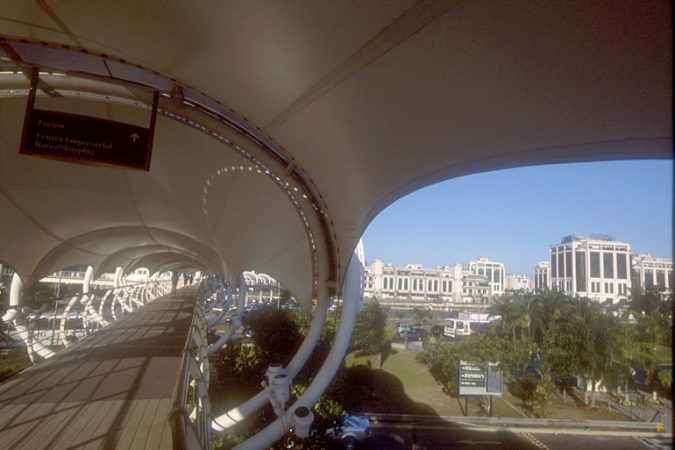 This idea helps to consolidate the concept of “Barra Shopping City”, with all enterprises connected.